The World Health Organization (WHO) says there is a "very low risk" of Zika virus spreading globally as a result of holding the Olympics in Brazil. 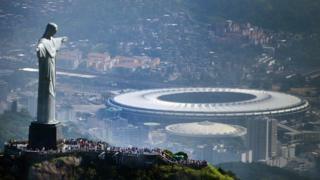 There is no need to move the Olympics from Rio de Janeiro, or to postpone or cancel them, WHO experts said. The WHO reaffirmed earlier advice against imposing any travel or trade restrictions on areas affected by the virus, which is spread by mosquitoes. Zika has been linked to birth defects. The Olympics will be held in August. The WHO has already declared Zika a global public health emergency. It has advised pregnant women to avoid travelling to the Games, and visitors to take precautions to avoid mosquito bites. But despite the concern voiced by some scientists, the WHO said mosquito activity was relatively low in Brazil in August. Brazilian officials expect about 380,000 foreign visitors to come for the Rio Olympics. Millions of travellers already visit Brazil every year, so not holding the Olympics there would not reduce the numbers significantly, the WHO added. The outbreak began in Brazil a year ago, but now more than 60 countries and territories have continuing transmission. More than 1,400 cases of microcephaly in babies have been linked to Zika in Brazil. The babies were born with abnormally small heads, a condition threatening their brain development. The virus has also been linked to a rare nervous system disorder, Guillain-Barre syndrome. Last month 150 doctors, scientists and bioethicists from more than a dozen countries signed an open letter urging the WHO to consider postponing or moving the Rio Olympics because of the spread of Zika.